This terrific lighting system is industrial grade & compact. This terrific lighting system is industrial grade & compact. 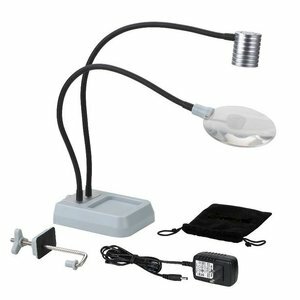 Features 120 Lumen CREE LED lighting, 18" flexible light and magnification arms that will not sag or droop and can be disconnected from the base and mounted directly on any 3/8" vise stem. Heavy non-tipping base with built in storage tray and a bench clamp that can be used on surfaces to 2 3/4" thick. The 4" rimless razor sharp 2X magnifier has 10X spot magnification and great depth of field. The System includes LED bulb, AC power supply and handy carry pouch. A great System! 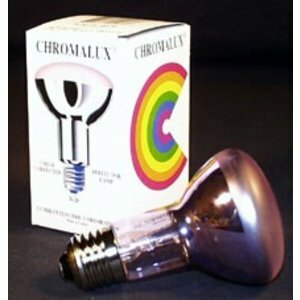 Color correct bulb for the Giraffe lamp system.